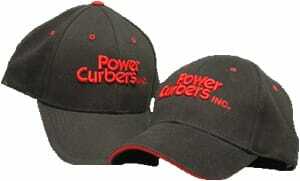 Welcome New Customers of Power Curbers and Power Pavers! Thanks for joining our team as a new owner of one of our machines. We’d like to get to know you. Please complete the form below. Or if you’d like, you may print out and send in the New Customer Information Form. Either way, we’ll send you a Welcome Package from the factory. It includes Operations, Parts, and Maintenance manuals for your machine, a video and contact information for people to help support you. There’s also a baseball cap in the package. We hope you’ll wear it with as much pride as we do. company_namephone_numberfax_numbercompany_email_addressbl_company_addressbl_company_citybl_company_state_provincebl_company_zipbl_company_countybl_company_countrybl_tax_exceptsh_company_addresssh_company_citysh_company_state_provincesh_company_zipsh_company_countrysh_city_limitssh_residentialct1_namect1_titlect1_phonect1_emailct2_namect2_titlect2_phonect2_email	Fill out the form below to contact us. If tax exempt, please send us a copy of your tax exempt certificate. Without documentation on file, we are obligated to charge applicable taxes as dictated by your local taxing body.